LISBON — Michael Channels, formerly of Wellsville, is one of several people reportedly vying for the remains of Charles Manson, the man synonymous with leading Manson Family cult responsible for the slayings of nine people in 1969. According to a Columbiana County sheriff’s report, Martin Stemple, Hillcrest Road, reported Saturday he and his wife were receiving harassing phone calls from a woman they identified as Vicki Gordon. Stemple told deputies Gordon is unhappy about the prospect of Channels receiving the body, believing there is something “sick” about it. Deputies attempted to contact Gordon, but reportedly were unsuccessful as of the time of the report. Donna Stemple, Martin’s wife, told the Journal they do not really know what their nephew, Channels, is doing in California as it relates to the Manson situation. Her husband only filed the report with deputies in an attempt to get Gordon to stop calling after she began at 4 a.m. and continually called each time they hung up the phone. One of Channels’ Facebook pages, which he has not updated since 2014, states he went to Wellsville High School and lives in Los Angeles, Calif. 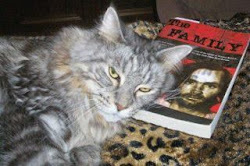 The page contains many posts with references to Manson; Helter Skelter, which was the name of some of the reported apocalyptic teachings of Manson; and the Museum of Death, which showcases death-related memorabilia including Charles Manson Family relics. Additionally, Channels is reportedly the webmaster for the webpage Mansonsbackporch.com, which has letters between Manson and Channels and other items related to Mason and the family. There is a photo on the page, which appears to show Manson and Channels sitting together visiting in a prison. 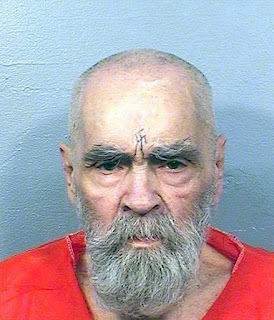 According to the Los Angeles Times, as of Dec. 21, five people have now come forward claiming their right to the body of Manson, including one who claims to be a long-time pen pal of Manson. Manson’s followers were reportedly responsible for the killing of nine people including a pregnant actress, Sharon Tate. Although he reportedly was not the actual killer, he was convicted of first-degree murder and conspiracy to commit murder in 1971 for his role in instructing those who carried out the murders, and spent the remainder of his life in prison.